Get our users into your location with GROWLr HOT! Spots. When you set up a HOT! Spot, all GROWLr members who use the app at your HOT! Spot location will receive ALL GROWLr PRO Membership features for FREE while the HOT! Spot remains active. It's perfect for bars, businesses, and all other public or private events. Fill out all the required information below. Use PayPal to complete your transaction. You will receive a PayPal email receipt and confirmation message from the our Admin account. Once your payment is complete, a SHOUT! advertising your HOT! Spot is immediately sent out from your GROWLr profile to all active users within a 20 mile radius of your HOT! Spot location. When a GROWLr user enters your HOT! Spot they will receive a pop-up announcement notifying them of the details. While the GROWLr member remains in your HOT! Spot, they will receive ALL GROWLr PRO Membership features for FREE while the HOT! Spot remains active. To locate your Account ID, open GROWLr and go to the home menu screen. Click on "Profile" and scroll to the bottom of the page. Enter your Account ID exactly as shown within the app. 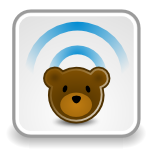 If you do not see your Account ID listed, please update to the latest version of GROWLr and try again. Include a short title. Example: "GROWLr Night at the Eagle!" Include a brief description. Example: "Come out this weekend to the Eagle for a FREE GROWLr PRO Membership on us!" The complete address of your location. Example: "The Eagle, 123 Main St, New York City, NY 12345"
The start date and time of your HOT! Spot. Example: "01/01/15 8:00PM"
The time zone and DST are automatically based off of the HOT! Spot location. Your HOT! Spot can last up to seven days. The price is $50.00 USD per day. If you chose to make your HOT! Spot private, the SHOUT! will NOT be sent out. GROWLr ™ Trademark of Initech, LLC.